It as been recognized that man has the ability to express and represent his/her thoughts, feelings, experiences and values through creativity. In the case of a young man named Wilson Allenwill, his love for art is inexpressible. 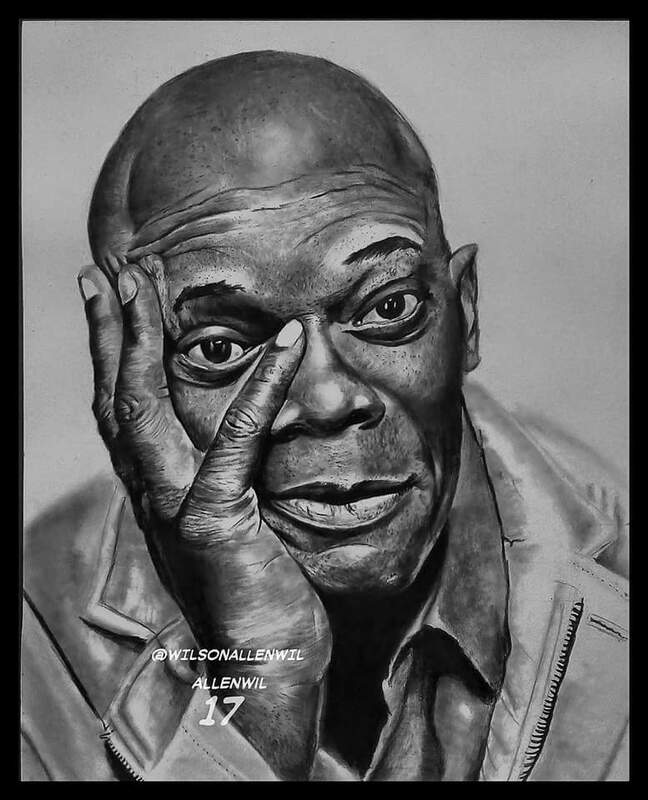 The young artist shared to his Facebook page an art work of the popular Hollywood actor Samuel L. Jackson. 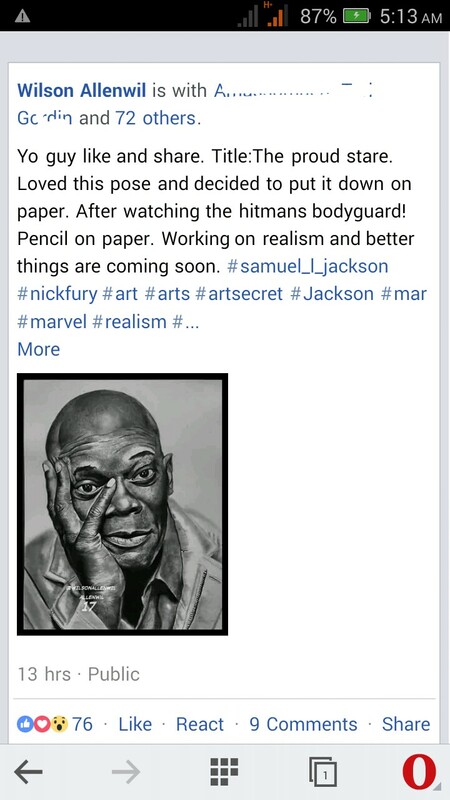 On sharing the art work on his Facebook he said "Yo guy like and share. Title:The proud stare. Loved this pose and decided to put it down on paper. After watching the hitmans bodyguard! Pencil on paper. Working on realism and better things are coming soon".